]. The stems scramble through the surrounding vegetation and into the canopies of the trees. The plant is harvested from the wild for local use as a food and as a material for weaving etc. 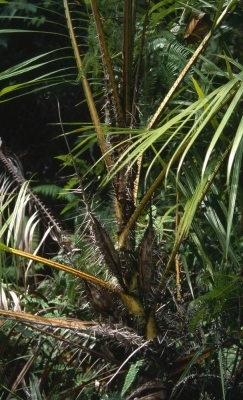 A plant of the moist lowland tropics.